I am from Nampula, Mozambique. I am not sure it is funny or scary, but I talk to myself. Especially while I am creating. I act as a Community Catalyst for ideiaLab, a Mozambican enterprise focused on entrepreneurship and innovation. I am responsible for the company’s Marketing and Communications. I also participate in business development programs design, implementation and assessment, tailored to support entrepreneurs and startups. Definitely a remote job! A job that allows me to travel, see different places, meet new people and learn a lot! It should be marketing related… but also give me the chance to support others in realizing their dreams and achieving their full potential. Pretty much my current job. I just need to grow into a better professional, to work remotely sustainably. The world has gone digital and so did marketing. My co-worker and friend Tatiana Pereira saw the challenges I was facing as a marketer in a digital world, so she recommended this specialization. After I read its syllabus, I realized it was just what I needed to keep up with all the changes and growing dynamics in Marketing. And since I want to work remotely, being a great digital marketer will be a huge plus on achieving this goal. What has been the most interesting thing you have learned so far? Before I start this specialization, I didn’t know about Augmented Reality. Few weeks after a lesson about it, Pokémon Go was launched! This reinforced the need to keep up with the world ongoing changes. It also highlighted the importance of focusing on target community needs to provide them with valuable content, trough desirable channels in order to successfully engage with them and market our products. It is surprising how much this course is updated and practical. 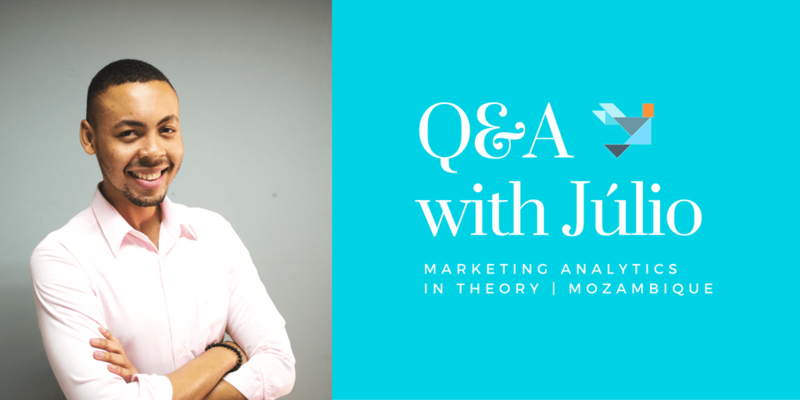 Have you gotten a chance to apply Digital Marketing concepts to your life? Yes, I did! From day one. The course is helping me rethinking ideiaLab’s marketing approach, and I am already noticing growing engagement from our target community. Now, with the Marketing Analytics in Theory Course, I know the importance of choosing the right set of tools to decide and measure what is really important for decision making on different type of businesses. And I am looking forward to the next course, which will be even more practical. I am usually very busy, especially on weekdays. So I usually take Saturdays’ mornings or afternoons to do the courses, so I never miss Sunday’s deadlines. Take a leap and dive into it! 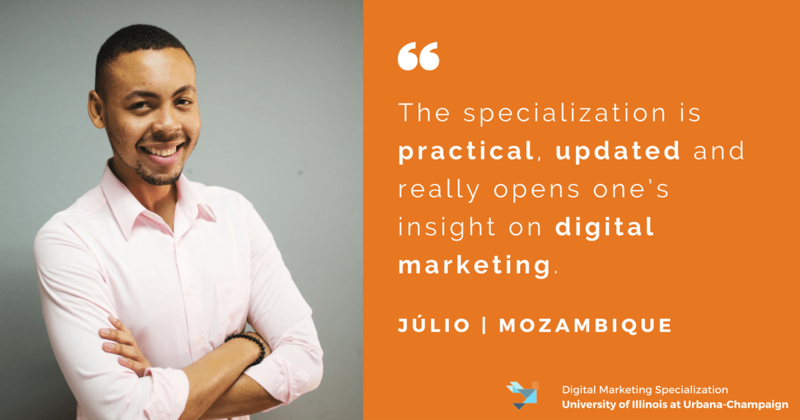 The specialization is practical, updated and really opens one’s insight on digital marketing. I am only on the second course but I am already experiencing changes. It might be hard to keep up with the lessons in the first weeks but a little discipline and focus will do the trick. So great to hear, Kawira! You are a very interesting person, Julio, and glad to have connected with you. Impressive how you get it all done and manage your time. Way to go!